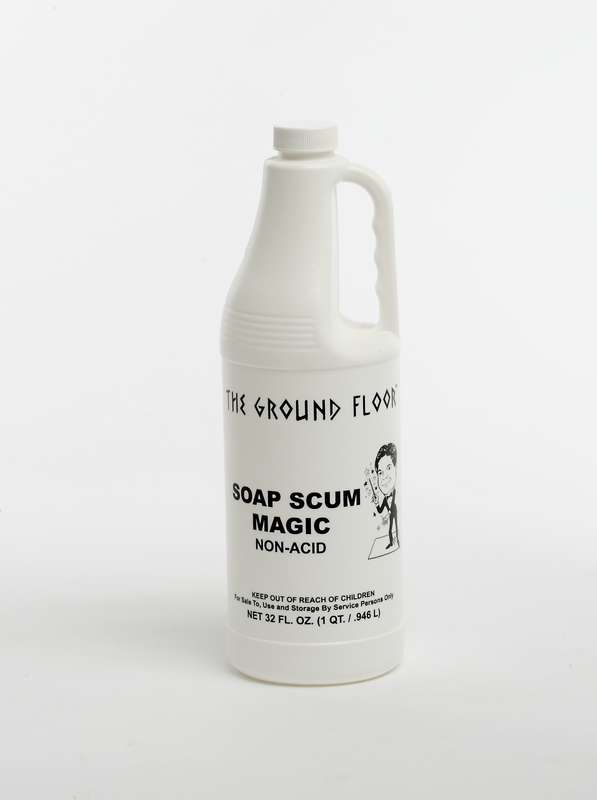 The vanishing power of Soap Scum Magic annihilates bacteria-infested residue. The wonder of this product is that it strips away all harmful microorganisms and chemicals but protects your travertine/marble/limestone floor and countertops from other hazardous cleaning supplies. Soap Scum Magic will wipe away your excess lime deposits and rust, while the commonly known product, Lime Away, will permanently damage natural stone, thus requiring the service of a professional restoration company.